The website is nice and user-friendly. However, the tech specs description is very basic. Also, the pricing indicated is mostly for a couple of years. After selecting a smaller period during checkout, the price changes to a higher one. In addition, some products like CodeGuard are added automatically to the cart so you need to be attentive. Almost all Shared hosting packages, except the Basic one, have unlimited disk storage, bandwidth and number of domain names. The pricing varies from $5.95/mo to $7.95/mo. Discounted pricing will be applied, in case the packages are purchased for more than one year. BlueHost also offers Managed and Shared WordPress packages, as well as WooCommerce hosting. VPS servers have nice characteristics, though, the packages are not very big: from 30Gb to 120Gb. They are quite expensive as well, if monthly billing cycle is selected: $29.99/mo to $119.99/mo. For example, with the most expensive package you get 4 CPU cores, 120 Gb disk space, 8Gb RAM and 3Tb of bandwidth. Dedicated servers are a bit overpriced: from $149.99 to $249.99 per month. With the most basic packages the company offers 4 CPU cores, 4Gb RAM, 5Tb of bandwidth and 500Gb disk space. Which is not that much. Moreover, there’s no information about the drives and CPU model on the website, so it is quite hard to estimate the servers. According to their support, the drives are HDD and CPU model is quite an old one. BlueHost does not offer a trial period, however, they offer a 30-day moneyback guarantee for all of their hosting packages. Shared and WordPress Shared hosting packages can be purchased for 1, 2, 3 or 5 years; Managed Wordpress packages - for 3, 6, 12, 24 or 36 months. VPS and Dedicated server plans have monthly, quarterly, semi-annual, annual, biennial and triennial billing cycles. As for WooCommerce packages, they can be bought for 1, 2 or 3 years. An enhanced cPanel is included to each hosting package. It looks quite comfortable and intuitive, includes more tabs than cPanel. For example, you can register, transfer, check the domain statuses here. In addition, it is possible to install any other control panel for VPS and Dedicated server plans. VPS and Dedicated servers have their usual disk space, bandwidth, RAM and CPU cores limitations. They are indicated in the plans descriptions. As for Shared hosting, the company claims that the disk storage and bandwidth are unlimited for all of the packages (except the first one). Nevertheless, according to the company’s ToS (Terms of Services), the number of inodes cannot exceed 200000 as well as the number of database tables cannot exceed 5000. In addition, the disk space for databases is also limited - not more that 10Gb in total. There is not much information regarding security features on the website. According to the company’s support, their shared servers have basic protection but they cannot disclose what security features are implemented. As for Dedicated and VPS servers, maintaining server security and monitoring is under your own responsibility. The company can only offer an antivirus, in case you are using CentOS on VPS or Dedicated. Though, it is possible to purchase SiteLock - a malware and vulnerability scanner and CodeGuard - a monitoring and backup creation tool additionally. The prices vary between $1.99 and $2.99 per month. As for backups, they are created on a daily and monthly basis only for Shared hosting packages. For all other packages you have to make them on your own. All Shared and WordPress servers run on CentOS. VPS servers come with CentOS as well, however, it is possible to install any desired OS on them, except Windows. As for Dedicated servers, it is possible to install any operating system on your own and CentOS can be pre-installed. The company provides 24/7 phone and chat support. The representatives are quick, polite, accurate and very proactive. However, VPS and Dedicated servers support is available only for those servers that have CentOS installed. In case you have a custom OS on a VPS or Dedicated server, you are solely responsible for all of the issues that occur. The knowledge base is very good, has lots of useful tips and articles. .uno 39.99 USD .wtf 39.99 USD .cc 24.99 USD .co 9.99 USD FREE Free domain name is included in any hosting package. .kaufen 39.99 USD .me 11.99 USD FREE .org.uk 24.99 USD .us 11.99 USD FREE Free domain name is included in any hosting package. 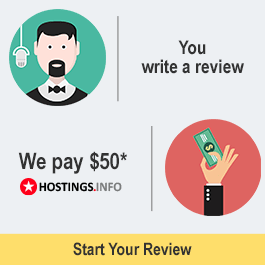 What is written about in reviews of Bluehost.com most often? This is my favorite Webhost, I called it tension free hosting .It is affordable having many plans for all level users. Support let's Encrypt free SSL and SSH.The Wordpress tool option are great for wordpress hosting. The Cpanel is user friendly and fast. Customer support is good live chat is always working but some disadvantages are like if your account is infected with malware they will suspend the account and took long time for re scanning and reviewing. Overall they try to help you that's why I ignore little negative issues. - Their prices for their packages are quite reasonable. - Their support reps are superb so far and they would walk you through the process in case you do not know. They really know how to give the best customer experience. - Their WordPress packages are the best among the other hosting companies I've gone through so far. - They do not the website migration themselves for free. The fee is $150. If you don't want to pay that much and can't afford to be thought as you don't have time, you may go to freelancers instead and they could transfer your website with a cheaper fee. A week after we obtained shared server space from Bluehost they decided to freeze our access along with what we've developed. They want no less than a certified translation of our incorporation documents, personal ids and utility invoices. The cost for the translations will cost more than what we've put into development, but theres no way to get the time back. If we did get the translations we will lose another week, plus how ever many says it takes them to respond to our emails. I haven't felt so screwed over by big corporate for YEARS! I using Bluehost for about 4 years for WordPress. 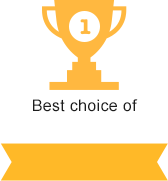 I developed lots of website for my clients and recommended them to select Bluehost. Their WordPress hosting is best. I strongly recommended Bluehost to select anyone for Wordpress. Its provide the best speed for the WordPress site. I've chosen this company due to the recommendation of an IT specialist manager. Most of all I like that the selected hosting manages its tasks. The site and service are constantly being improved, becoming clearer and automated. Feedback works well. A relatively slow host, it may of course depend on the plan, but when working with the site I often had 500 errors due to server timeout. The server settings themselves are quite good, there are many applications for automatic installation of platforms, many tools in the panel. It is easy to contact technical support, but unfortunately, not to get a right answer, the average time in the chat for solving the problem is about an hour, although the problem will not always be solved as a result. For the price is relatively cheap, do not strain much with notifications of contract renewal. I would really want to say that I recommend this hosting, but after suggesting my client buying their plan, I had a lot of regrets. Yes.their prices are quite okay, but service is unbelievably terrible (at least this was my inpression of their support). I had to contact them several times and stay on hold for like an eternity to get nothing but misleading assistance. Moreover two support agents were definitely reading different manuals. And all that just because of the simple DNS switch, which they said is not supported for specific entries, while I finally found how to do that. I was also sorry for my client, who could not get any help from the support agents regarding her mail issues, so even after ending my freelance contract, I've contacted her on daily basis for the whole two weeks, explaining how to check mail connection with telnet, what DNS propagation is and how to set up spam filters. Bluehost is satisfactory and the hosting is fast. The rates are acceptable. In my opinion this is the best US hoster. I hosted my sites with iPage and with the Hostgator. The first - terrible, there were regular problems with the site. On the second - they said that my sites (~ 200 people/day) create to big of a load. At Bluehost, I've been hosting just for 3.5 months, but I haven't observed any problems and everything is working fine.